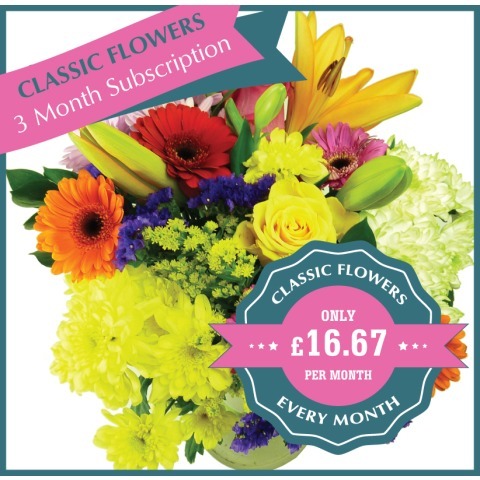 Make every month special - just imagine the enjoyment of beautiful bouquets of flowers in your home every month. With one easy order, Post-a-Rose will send one of our Classic seasonal bouquets for the next three months. When a loved one deserves more than the best, then here are the gifts for you! 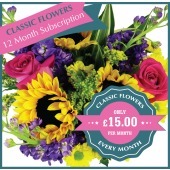 Three months of Classic flowers can be sent simply by placing a single order. Then just relax, knowing that someone special will be receiving one of our freshest classic flower bouquets, each month, for 3 consecutive months. You can choose a delivery date for the first bouquet. 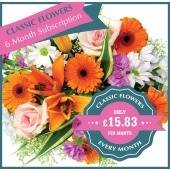 Each subsequent bouquet will then be delivered at approximately the same time in the month for the following 3 months.